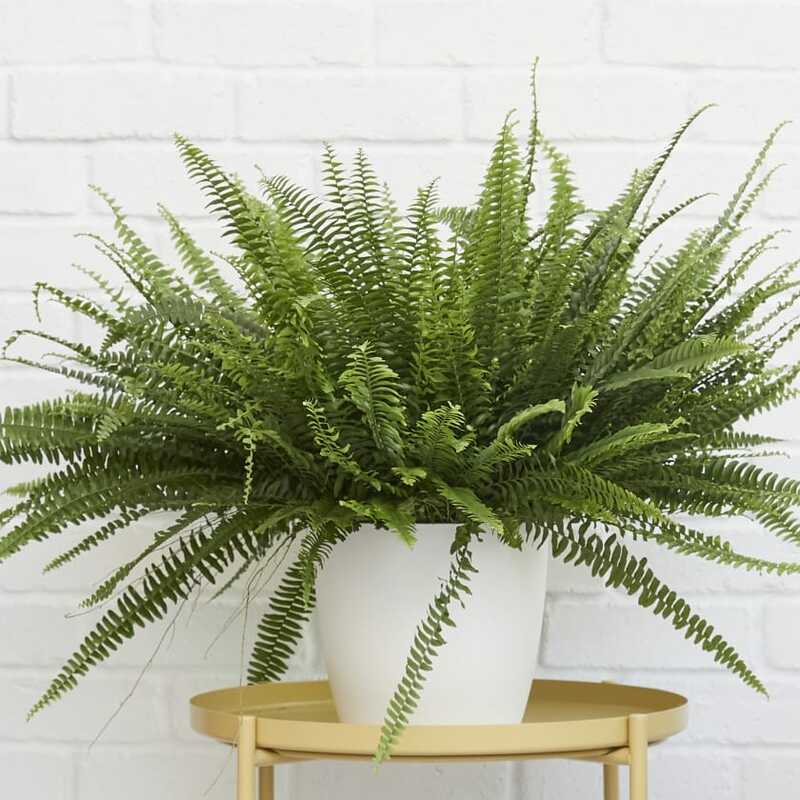 Bertie is a good friend to have around as she not only helps cleanse the air of pollutants but the boston fern has also earned herself the reputation of being an all-round easy-to-please plant to look after. 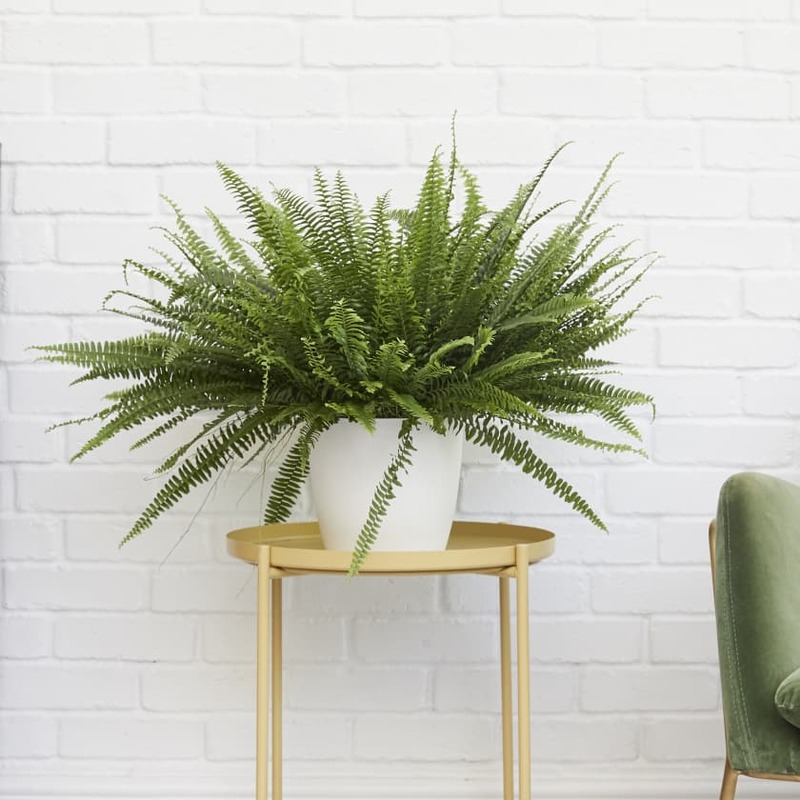 Native to the South American tropics, Bertie's arching green fronds will help transform any corner of your room into a peaceful sea of green - and ideally, the steamier the better as she loves a humid atmosphere. 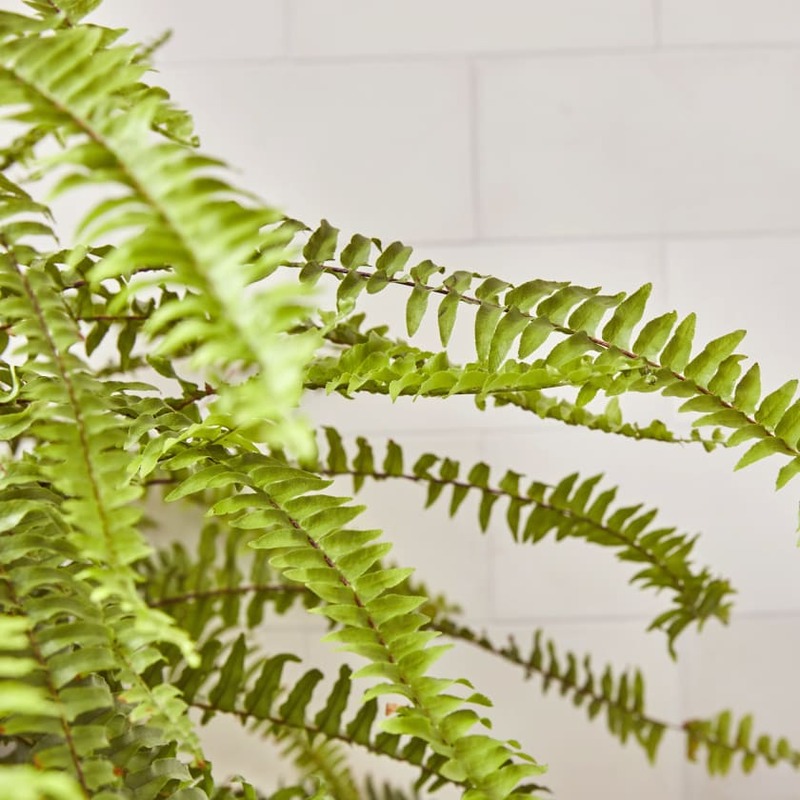 Please note that our tiny boston ferns come in a variety of different shapes - each with their own unique ferny green hairdo. 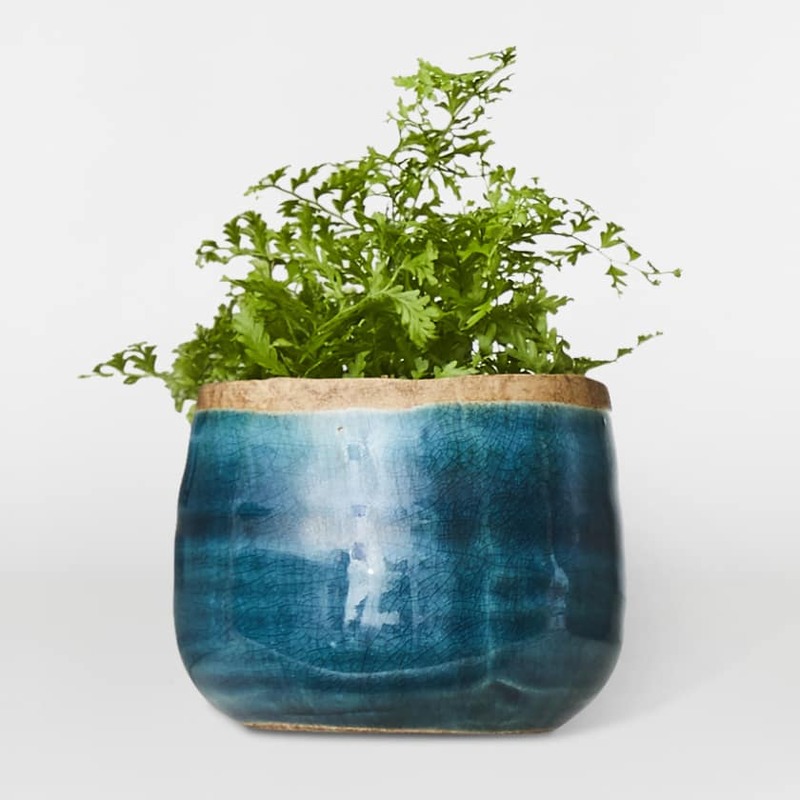 If you are purchasing one of our cement pots you will need to take tiny Bertie out of her nursery pot, otherwise you can leave her in. Our largest Bertie fits perfectly in our new 25cm plant stand! 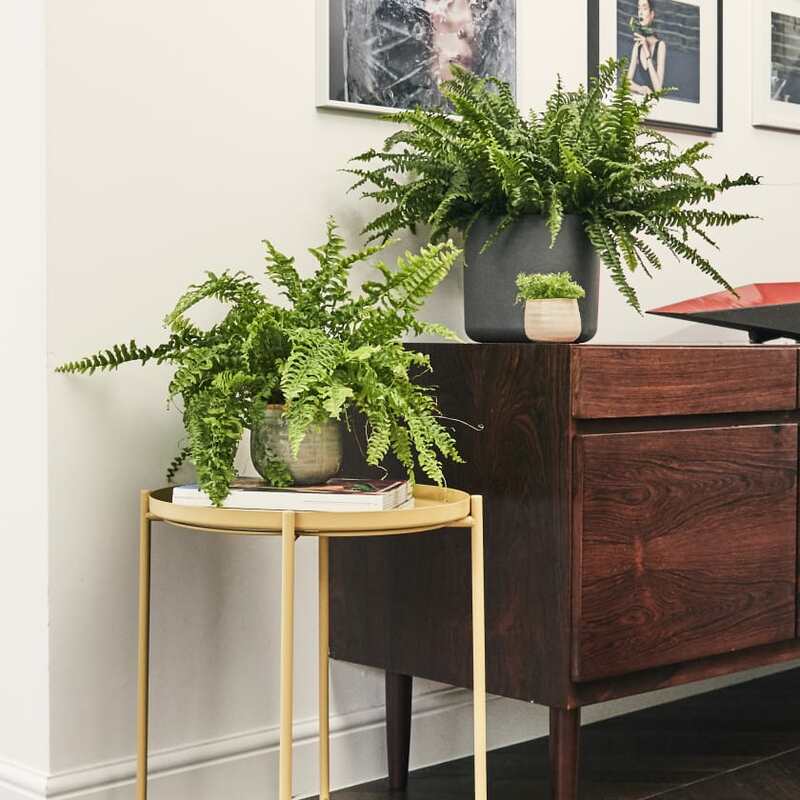 Though Bertie is happiest in a shady spot in a brightly-lit room, she is fairly adaptable so won't mind a slightly brighter or shadier spot. Bertie is not a fan of a dry atmosphere so try to keep her away from radiators and keep her well watered - a bathroom or kitchen is ideal. 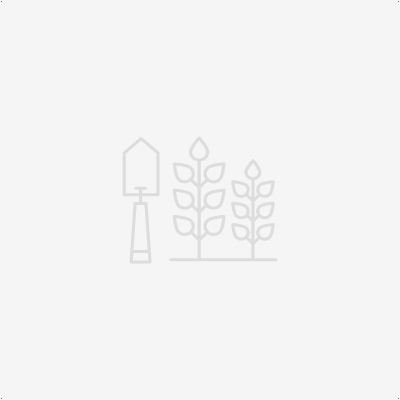 Bertie helps to remove the toxic air pollutant, formaldehyde, commonly found in consumer products. Try to keep Bertie's soil moist at all times by watering 1-2 times per week. 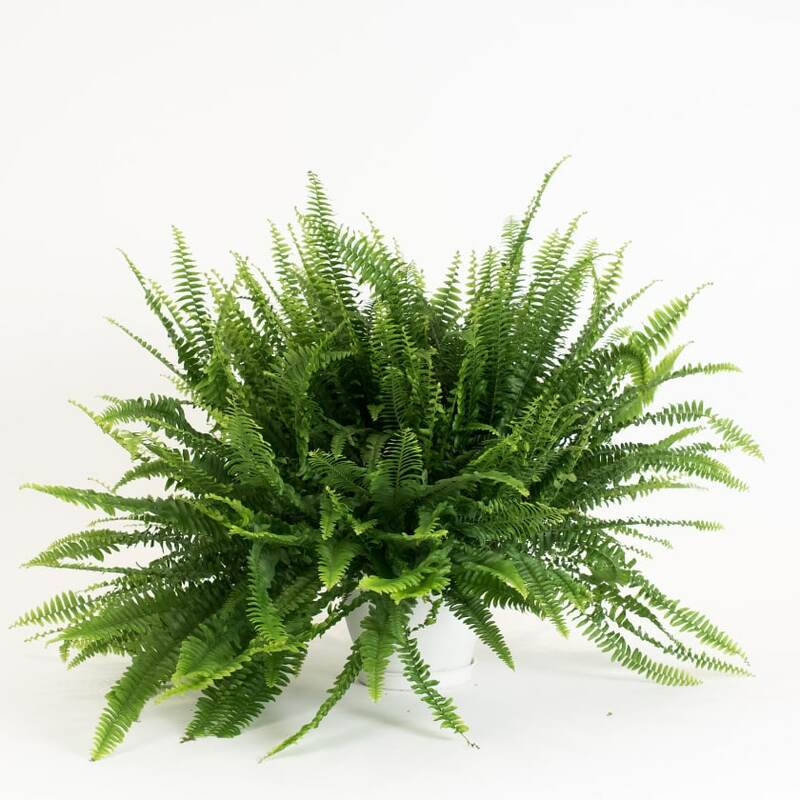 Alternatively you can mist your boston fern with our plant mister once or twice a week to help your fern get the humidity she needs. There's no need to go overboard with the fertiliser however Bertie would appreciate this liquid fertilizer being applied fortnightly between April-October. 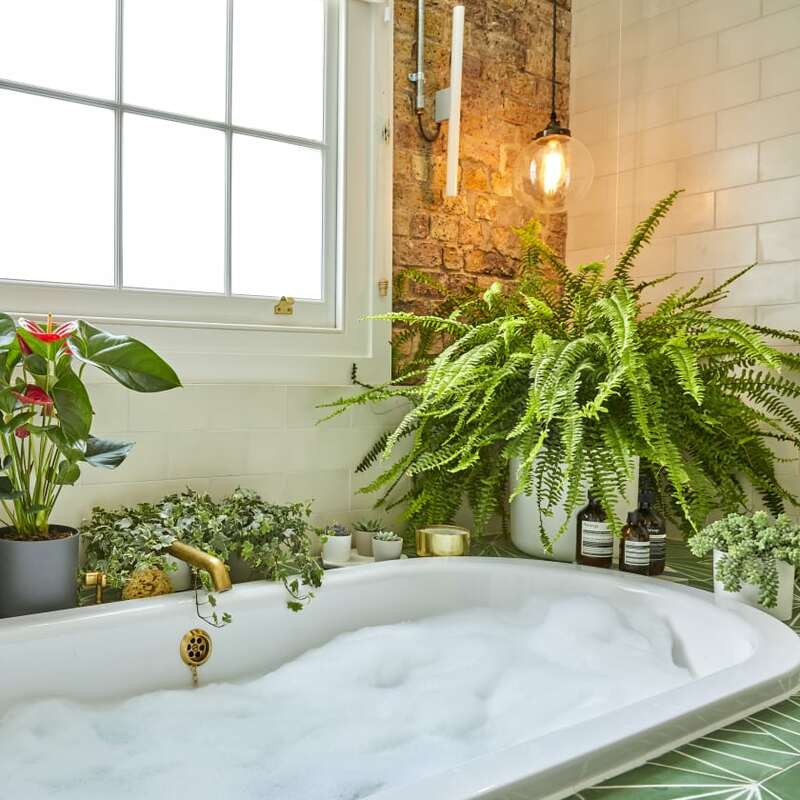 To help improve Bertie's verdant green, add 1 tablespoon of epsom salt to 2 litres of water and pour over the foliage once every six months. 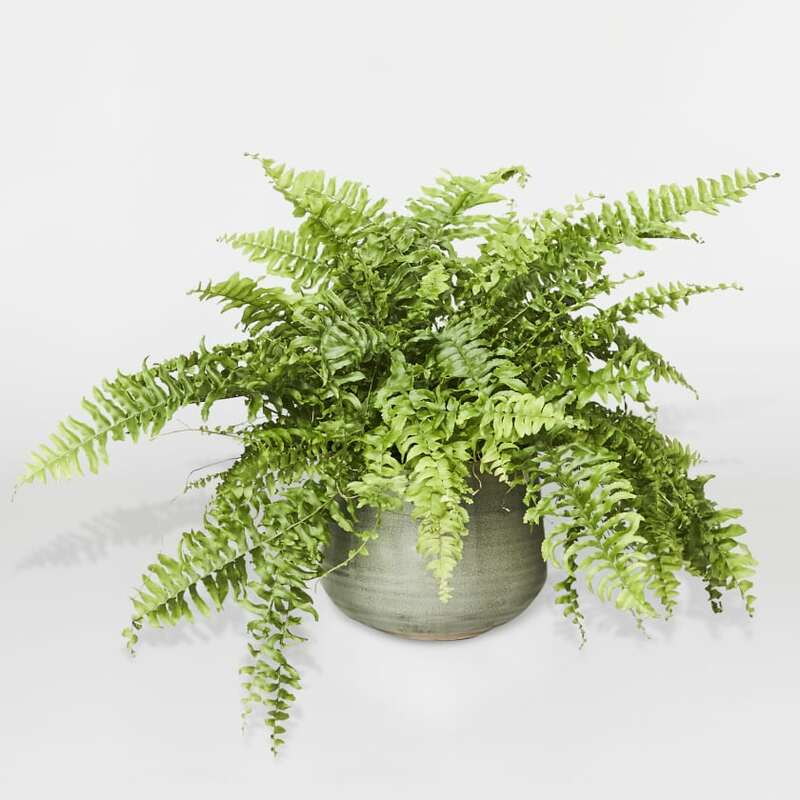 This will help draw water to the boston fern's leaves as well as give the soil a boost of magnesium. Bertie will cause no harm to pets and children.